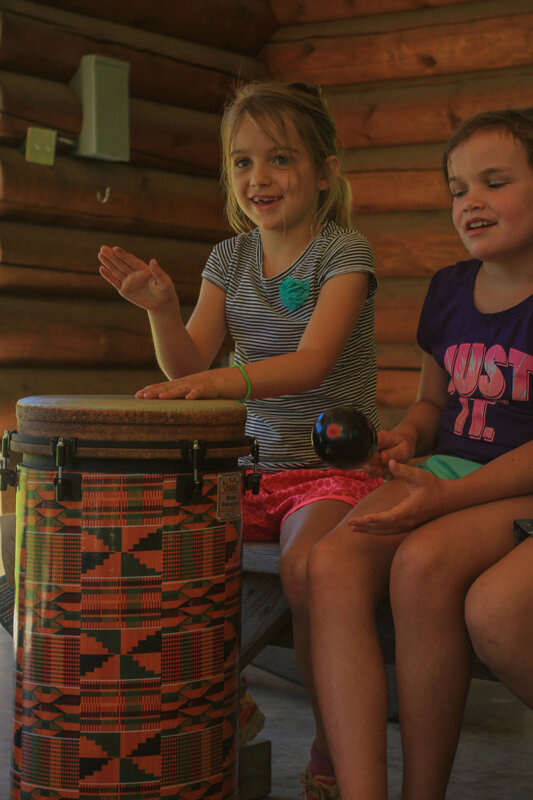 Kids woke bright and early for breakfast before some morning worship, bible study, drum circle fun and crafts. Before too long it was lunchtime which was followed by an afternoon of fun on the rock wall, some game time in the lodge and smiles on the playground. 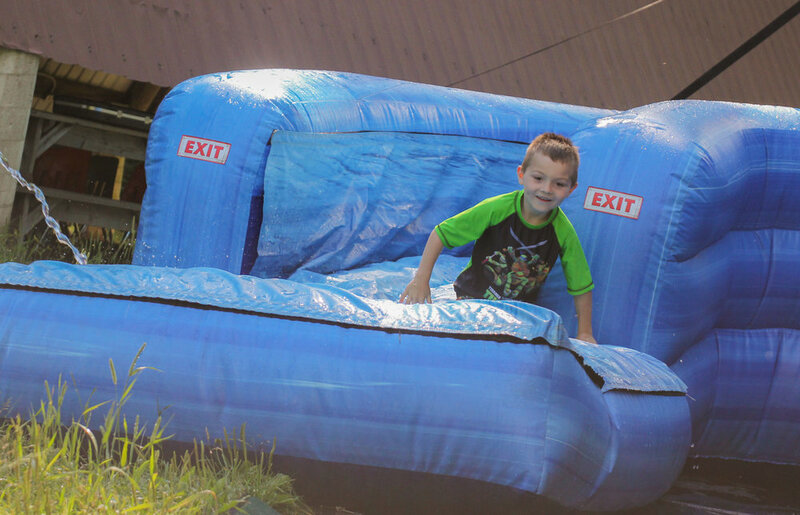 When things started to heat up, campers cooled down with water games and a chance to play on the giant waterslide. Campers topped off a busy day with a delicious luau and a great time at the river. After the Junior High campers of Adventure Camp took off around noon for their 2 night adventures a fresh crowd of campers, many first timers, rolled in for Mini Camp! 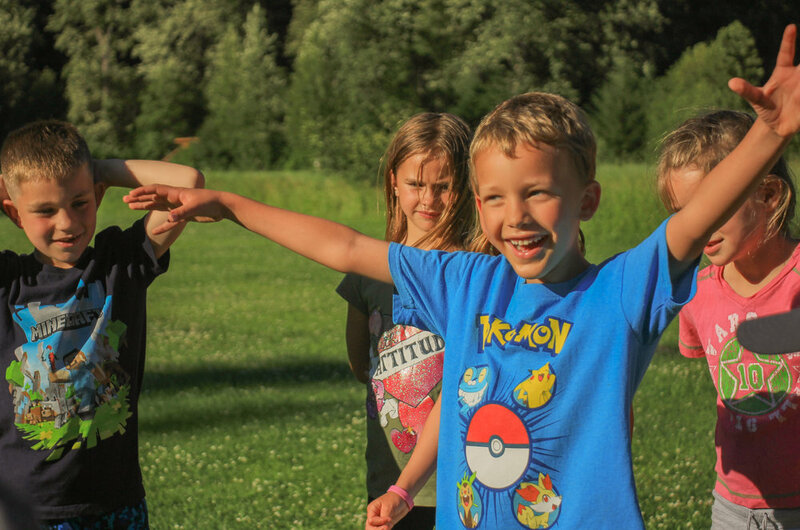 Today the group got to know each other a little better through some fun games in the meadow, then chowed down on a tasty dinner from our kitchen staff. After, there was time for a few more games before music, skits, and lots of laughter at the A-Frame. Before turning in for the night everyone gathered around the campfire for some classic campfire songs and to hear a message from this week's speaker.